Height 32 in. (81 cm), bloom 5.25 in. (13 cm), season M, Sev, Tetraploid, 18 buds, 4 branches. 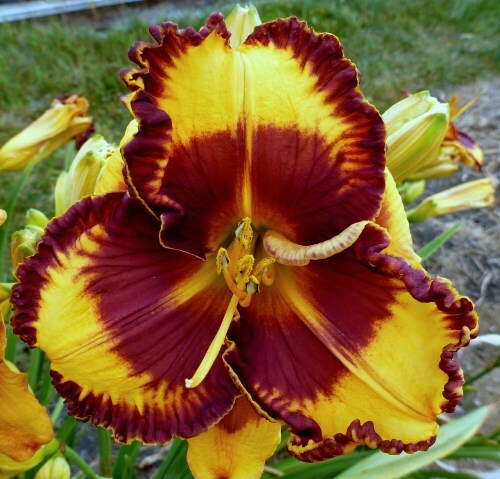 Yellow petals with very dark maroon eye and edge, fertile both ways. 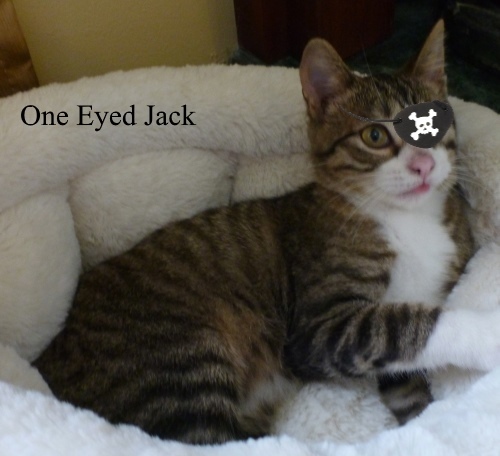 Named for our kitten One Eyed Jack.